Established in 1988, we started with an idea, a concept, a belief that we could provide quality, innovation, and outstanding design to the Perth building and architectural market. From 1988 we continued to grow our business, acquiring a range of products and relationships with the worlds leading manufacturers and designers of high quality luminaires. Today, with agencies from Italy, Germany, Switzerland and Spain, we represent the finest lighting ranges for both the commercial and residential sectors. Being the national agent for our brands, we have now expanded to include representation of our products in Melbourne, Sydney and Brisbane. We continue to strive for excellence by working closely with our clients in order to understand their lighting needs and produce design solutions that inspire and delight. The quality and character of lighting can define a space, imbuing an atmosphere that effects all aspects of the home environment. Considering this, it’s little wonder that lighting design has become a dominating industry in its own right. ALTI Lighting works with Perth’s most prestigious architects, Designers, builders and home owners to create a warmth and soul that makes a house a home. With a solid foundation in architectural lighting design and having spent 20 years servicing WA’s residential sector, ALTI Lighting has become a familiar authority in lighting design and consultancy in the State. Hosting a range sourced from more than 150 manufactures in 15 countries grants ALTI Lightings designers a unique flexibility in customisation and adaptability for your project. The company prides itself on keeping abreast of The latest technologies and tailoring designs to suit the individual needs of the client. From the preparation phase and design advice, to lighting design layouts, energy efficiency compliance and project commissioning, ALTI Lighting provides personalized service to the discerning, who desire lighting beyond the essential. Replica Lights is an online lighting store in Australia offering the best and most affordable designer lighting solution. All purchases comes with fast and free delivery to major cities and metro in Australia including Perth, Sydney, Melbourne, Adelaide and Brisbane. Best of all, there is no minimum spend to entitled to free delivery. Some of lighting we carried are Tom Dixon lighting, Bocci lighting, Foscarini lighting, Moooi lighting and many more. 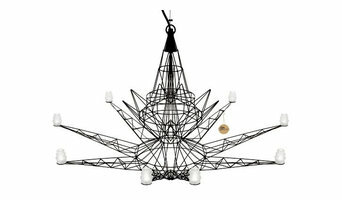 Some are designer wooden pendants or plywood pendant, and some are large rustic modern candle looks metal pendant light. We constantly looking for quality lighting to add to our range. 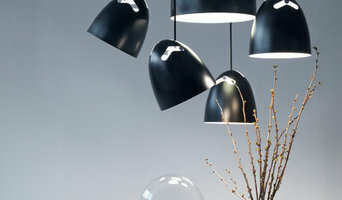 Our current range are pendant light, floor lights, table lights, wall lights and ceiling lights. 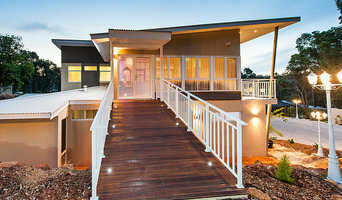 Some of our clients are from Australia top 50 businesses to local home renovator. If you are looking for some unique designer lighting but affordable and wanted fast and free delivery, then remember Replica Lights is here to assist you. "Let Us Brighten Your World"
St. John Lamps was established in 1979 by the current owner, Robert St. John Kennedy. With continued innovation at our core, we are committed to developing tailored products utilising the latest lighting technologies and designs, while offering a wide range of colours, forms and fixtures. ‘We create distinctive, luxurious and lasting custom made pendants and lampshades all manufactured in our workshop.’ We have created solutions for diverse clients ranging from corporate offices, commercial premises and shopping centres to restaurants, bars and 5-star hotels. Over time we have developed an extensive range of styles that can be manufactured in your choice of materials, or we can construct one-off creations that can be formed to any shape you desire. These specialised individually designed shapes are possible due to us being able to manufacture our own frames on site by our sister company, Creative Wire & Plastic Coating. With this process we can produce lighting based on any shape imaginable. LUXE COLLECTIONS, a family owned and locally operated business was created seven years ago to showcase an exclusive collection of Lighting, Bathware, Porcelain Tiles and Translucent Panels sourced from various countries. With each product handpicked and regularly upgraded, Luxe Collections has made a niche for itself in the home finishing industry. Highly sought after by builders, designers and home owners for our range, quality , personalised service and customisation, which is our hall mark. Luxe stands for luxury. But while our products exude opulence, our prices do not. The Montauk Lighting Co. was established to bring Australia distinctive, high quality lighting, created by renowned and acclaimed international designers. We import lighting that inspires us and the types of spaces we aspire to live in, work in and dream in. We are a consultancy and are here to help you realise your architectural vision. The lights showcased here are only part of the vast selection available to us. Available for residential and commercial projects. We provide high end Led products for Retail and Commercial premisses as well as luxury homes. 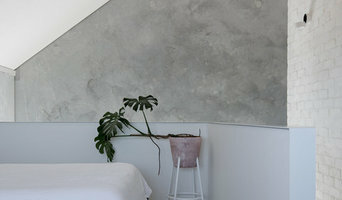 Australian design brand creating contemporary furniture and objects with unapologetic use of materials and form in design. The Garden Light Company has been specialising in commercial and residential garden lighting in Perth for over 15 years. We offer clients our extensive knowledge in maximising the effects of lighting through correct fitting placement, and our experience in educated design. We believe in light as an extension of every surface, every structure – enriching everyday experiences through light. By blending precise design and engineering, we bring light to life in all its diversity. Lighting designers will analyse your Perth, Western Australia home's layout, structure and needs to create an effective lighting plan throughout your home. This may involve the addition of new light fittings but may also include the movement or addition of power points — recommendations to suit your space and your lifestyle. Though electrical engineers or interior designers in Perth can take on the task of outfitting your home with the appropriate lighting, a professional lighting designer explores lighting as a technique. They can match your style, be it antique lamps to match your eclectic vintage home, or modern wall floor lamps to go with your designer furniture. Think about how you plan to use each area of your Perth, Western Australia home. It's important to communicate to your Western Australia lighting designer which space will be used as for reading and which for enjoying a movie or entertaining, as these will require very different lighting methods. In addition, consider how you'd prefer to control the lights. Lighting technology today includes dimmers, sensors, photocells (that let lights react to the amount of daylight in a space), programmable scene controls (that let you program different settings for varied lighting) and whole-house lighting controls (that let you control all or a portion of your home's lights from one source), allowing you to tailor your lighting controls however you wish. Find a lighting designer on Houzz. Narrow your search in the Professionals section of the website to Perth, Western Australia lighting designer. You can also look through Perth, Western Australia photos by style to find a lighting design you like, then contact the designer.